Uglyworld #537 - Insomnia (138-365), originally uploaded by www.bazpics.com. 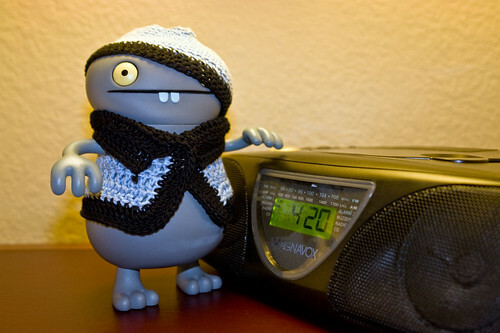 It's now 4am on Tuesday morning - Babo, myself and the others arrived in Oregon around 6 hours or so ago now. In the hotel room there's the sound of snoring coming from the bed, unfortunately none from myself or Babo who are 110% awake and unable to sleep. It wouldn't be so bad if we weren't completely drained of all energy and were really in need of some sleep. Babo has suggested we try his patented technique of counting uglysheep jumping over a little fence, so far this hasn't been working as one of us ends up laughing at the antics of the sheep as they prepare to jump the fence. Hopefully we'll get some shuteye before we need to get up at 7am!! !